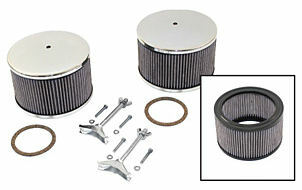 Kadron Brosol / Solex Air Filter Kit. Sold as a pair. Also available are the Elements Only. Elements are sold each. Click product options to choose what you need.